PORT CANAVERAL, Florida - Port Canaveral will have a fireworks display over the harbor to celebrate Independence Day that can be viewed by the public from The Cove at Port Canaveral area located on Glen Cheek Drive on Sunday, July 2, 2017. The fireworks will start at dark (approximately 9 p.m. Eastern Daylight Time). Although the event is free to the public, there will be a $5 parking fee. Special VIP viewing from Exploration Tower is available for $15 per person. 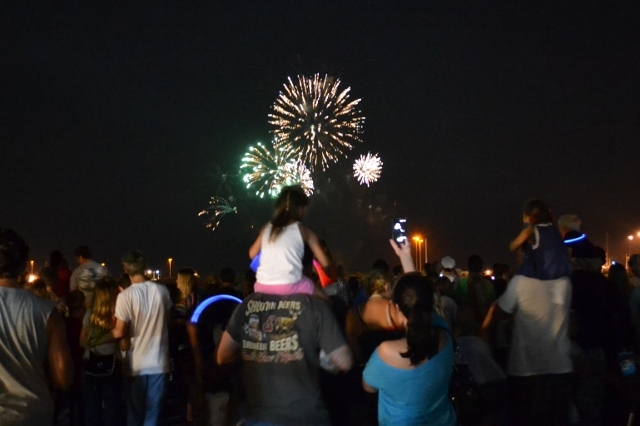 The tower opens at 5:30 p.m.
Before the fireworks, a family-friendly event will be held at at Exploration Tower that will feature activities for the kids such as bounce houses and face painting. Vendors will also be there with light up gadgets for the kids plus cotton candy, hot dogs, snow cones and more. There will also be a beer tent for adults. Bring lawn chairs but leave coolers behind. Photo credit: Brevard Times / File.